Avenida Del Mar is the town’s main street, stretching from the north end southwesterly to the pier at the ocean shore. Along this approximately half-mile stretch there are frequent street fairs, art walks, craft fairs, the annual “Puttin’ on the Glitz” event, and many holiday and summertime activities. 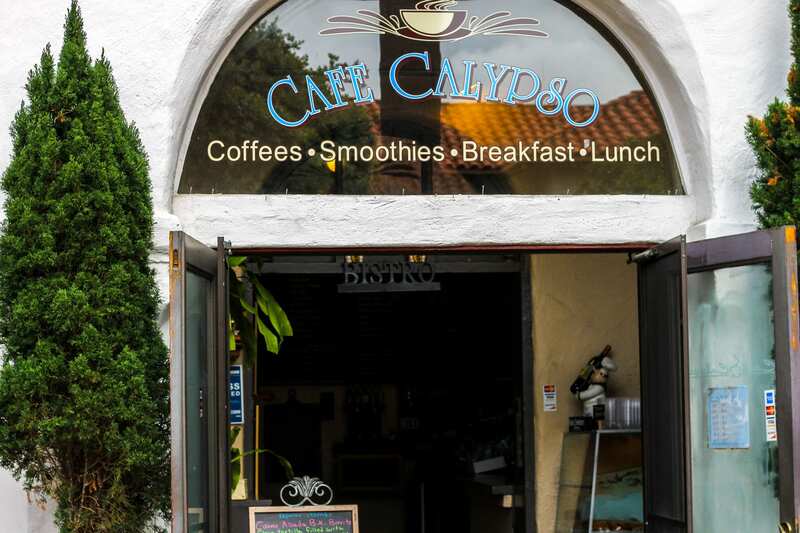 Café Calypso restaurant offers intimate indoor seating and a heated outdoor courtyard patio with a rustic fountain. The Cafe has become the informal meeting place for local shop-keepers and town officials seeking a brief outdoor escape. As a weekend bonus, local entertainers frequently provide live music in the courtyard. Call us at 949-366-9386 to place an order for pickup, or to discuss catering for an event to be held either at the Café Calypso Restaurant or at your location in San Clemente. 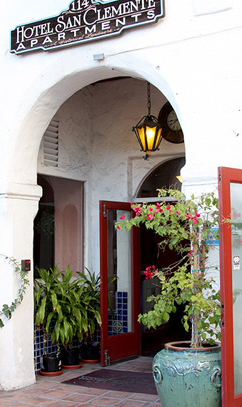 Visit Café Calypso on the ground floor of the historic San Clemente Hotel in the town's quaint but bustling shopping district.